People interested in finding out more about studying at university are warmly welcomed to Northumbria University’s latest Open Day, which is being held tomorrow (Saturday 24 September). Northumbria University is making it easier for people from Yorkshire to study its courses with two special events happening in Leeds on the same day. 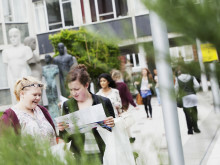 On Saturday 27 September, the University will welcome over 2,500 visitors for its undergraduate Open Day. 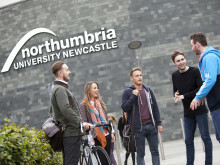 It will be the perfect opportunity for prospective students and their parents to explore the campus and get a taste for life at Northumbria, which was recently awarded the ‘Best City Life’ title in the WhatUni Student Choice Awards. 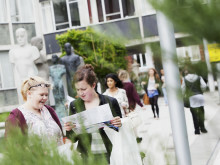 Northumbria University is on track to welcome a record number of prospective students to its recruitment Open Days this year. Northumbria University – which features in the top ten in the UK for graduates entering professional employment – will host two undergraduate open days this autumn.